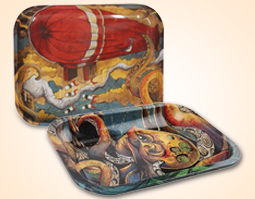 Smokers Choice carries a wide range of tobacco products and tobacco accessories. We strive to have the best selection around, and with over 60 tobacco stores across New York and Pennsylvania, we sell our products at the lowest prices available. Whether you are looking to buy cigarettes, cigars, pipe tobacco, rolling supplies, glass or other smoking accessories, we have you covered with the best selection in town! We carry all major cigarette brands from Marlboro and Newport to Sonoma and Pyramid, always sold at state minimum prices. Whether you want the best taste or the best value, we have what you need. Don’t see your favorite brand? Ask our sales representative to order it for you. 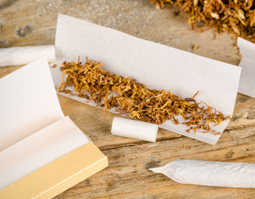 With the largest selection of cigarette & pipe tobacco, rolling tubes, papers, and automatic or hand held rolling machines, we’re sure to have exactly what you need. No matter what your skill is with cigarette rolling, we got you covered. New to rolling your own cigarettes? Ask one of our helpful associates for a demo to get started! We carry a wide selection of premium cigars, wraps and accessories. 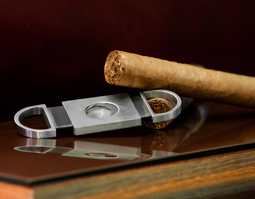 Whether you want a touch of class while sipping scotch at the poker table, a stogie for after dinner, or a wrap to make your own cigar, you are sure to find what you are looking for. Find the finest selection of cigars located in our humidors at select Smokers Choice locations. Smokers Choice is well known for carrying top of the line hookahs, hookahs, and more hookahs! With all sorts of designs and styles, we will be sure to have what you want. Need Coals? We have coals. Need tongs? We have those too. Not sure what flavor of shisha to try? Our knowledgeable staff will help find the right one for you. We carry the largest selection of glass, ranging from water pipes, steamrollers, sherlocks, and glass spoon pipes. Smokers Choice is also a licensed ROOR glass supplier, with styles and designs you’d be sure to love. However you like to smoke, we got what you need in-store. We have a wide variety of smoking accessories ranging from cigarette cases, cigar cutters, grinders, and pipes all in a wide variety of stylish and practical designs. However you smoke and whatever your preferences are, Smokers Choice Tobacco Outlets will have what you need. 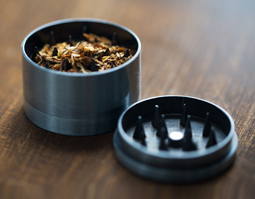 Our wide variety of grinders ensure for smooth and secure grinding, every time. 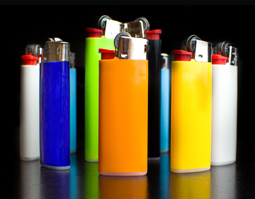 Don’t get stuck without a lighter! We have them in several different sizes, shapes, and dimensions. Whether you’re twisting up to share or rolling something personal, we have you covered with an assortment of papers. Every roller needs a tray! From simple to extravagant designs, we have exactly what you need. A cigar is meant to be smoked properly. Cut those caps off swiftly with our superior collection of cutters. If you smoke cigars, you need a humidor. 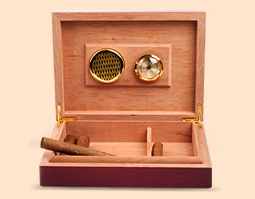 Keep your cigars nice and fresh all year round with a personal humidor. Don’t like what you see? There’s other ways to get your nicotine fix. Make the switch to vaping and enjoy the variety of tastes and flavors! Visit our Quitting page to get started.